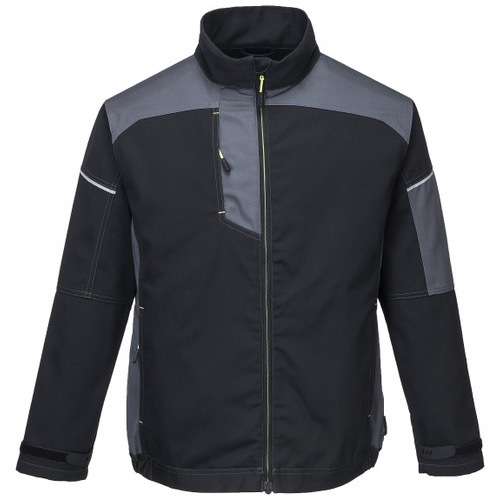 The Portwest T603 is a modern cut stylish work jacket with its smooth lines and subtle two-tone paneling co-ordinates with all trousers in the PW3 range. Premium polycotton fabric provides durability and ultimate wearer comfort. Packed with functionality including Ezee zips, pre-shaped elbows, reflective trim detail and multiple pockets. Hook and loop cuff adjustment and side elastication ensure a comfortable fit.